Do you ever know ? We always change our positions all night while we are sleeping. The research for better sleeping in Japan (NCNP) says it is our subconscious to adjust our position automatically to release tension of muscles when we are not in the position that is well for blood circulation, or decreasing body temperature. Many chiropractors suggest using bolster to support your knee up, to make it in the same level as hip, otherwise your hip muscles or waist will be stretched too long (like 7-8 hours all night), and it cause the back pain. Not only one side of bolster, but also both left and right, because we keep changing our positions all night. When mattress does not support your back, because our back’s shape is like S shape, so some too hard mattress, is yet firm but not bend to our S shape back. 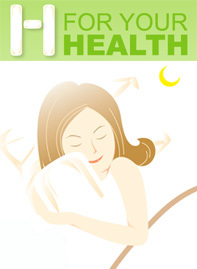 Finding your own uniqueness pillow back is A H 100 pillow can help supporting your back. Which some mattresses cannot answer before. To make a uniqueness of your own shape a buckwheat pillow is the choice. Because of the sandbag shape will create your own choice, soft, hard, high, or low, by putting more or taking out buckwheat hull, or even make a bended shape to support the bended knee.